Got the perfect dining table but missing the dining chairs? 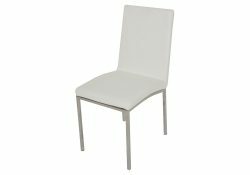 Fancy Homes stocks a carefully-curated selection of the very best kitchen chairs Melbourne has to offer. 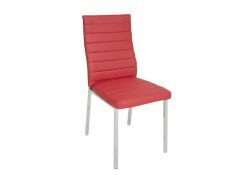 With a range of chrome effect chairs styled with comfy polyester and faux leather upholstery, our carefully curated selection are a marriage of contemporary elegance and functionality. 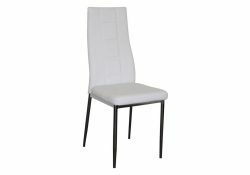 A classic, minimalist design, the BARI dining chair has sleek, elegantly rounded outlines that make it an ideal choice for a range of dining tables and interior styles. 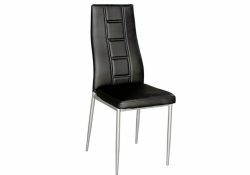 The chrome leg frame features synthetic leather upholstery that offers ample comfort for a variety of uses. Pick from three classic colours—or choose your very own! 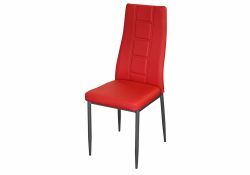 Distinguished by their eye-catching aesthetic, the GRAVITE range of dining chairs boast a high-density foam-padded seat and backrest upholstered with woven fabric for ultimate comfort and style. 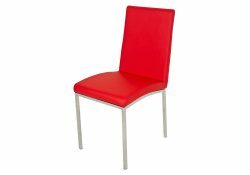 The GRAVITE chairs come in two colours, but you can always customise it to fit your dining table or room decor. An updated version of the BARI chair, RAVEN combines a high-density foam-padded seat and back with durable, high-quality faux leather upholstery and a steel leg frame that provides maximum stability. 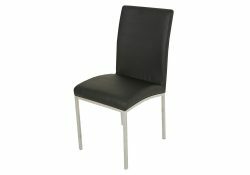 The slightly curved design of the chair ensures excellent lower back support and prevents aches, too. Showcasing a chrome frame with an elegantly curved seat upholstered with faux leather, the BAXTER dining room chairs exude minimalism without compromising on comfort. Available colours include white, pearl, grey, and black. 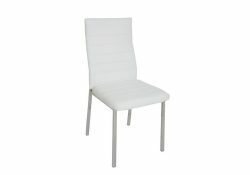 Fancy Homes is your one-stop destination for the best dining room chairs that Sydney and Melbourne has to offer. Explore the range to find the perfect style for you or visit our warehouses to find the perfect chair in person!